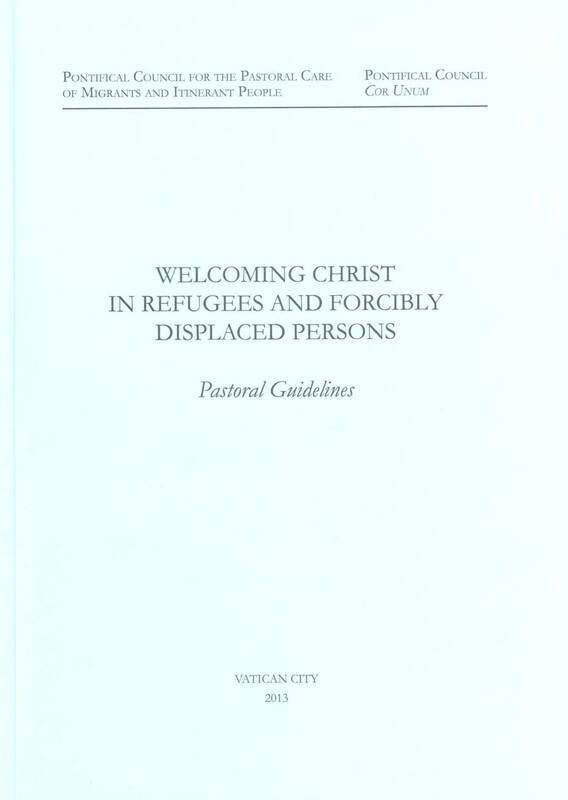 As early as 1992, the Pontifical Council Cor Unum and the Pontifical Council for the Pastoral Care of Migrants and Itinerant People had prepared a joint document, “Refugees, A Challenge to Solidarity”, which already defined the phenomenon in the words of Blessed John Paul II, “a shameful wound of our time”. He spoke of a large number (approximately 17 million) of refugees, doubled by the number of refugees within their countries, which were added to those who wanted to escape the conditions of extreme and almost oppressed poverty. Since then, the phenomenon of migration has reached even more impressive dimensions. The World Migration Organization (WMO) estimated that there are about 214 million international migrants worldwide, that is to say, 3% of the world population, of which 49% are women. Then, there are 15.4 million of refugees who leave their country and in 2010, there were approximately 27.5 million displaced persons within their own nation. Hence, the new joint document of the Pontifical Council Cor Unum and the Pontifical Council for the Pastoral Care of Migrants and Itinerant People is in response to the needs of refugees and forcibly displaced people. It deals with pastoral guidelines, aimed at strengthening in the workers and volunteers of Catholic charitable organizations, an approach of presence, attention and precise action, when they are engaged in assisting our brothers and sisters. Moreover, these are helpful to the Christian community, which is also called to live the ecclesial dimension of charity, as the Holy Father Emeritus mentions in the Motu Proprio Intima Ecclesiae Natura: “The service of charity is also a constitutive element of the Church’s mission and an indispensable expression of her very being; all the faithful have the right and duty to devote themselves personally to living the new commandment that Christ left us (cf. Jn 15:12), and to offering our contemporaries not only material assistance, but also refreshment and care for their souls (cf. Deus Caritas Est, 28). The Church is also called as a whole to the exercise of the diakonia of charity, whether in the small communities of particular Churches or on the level of the universal Church”. The document is also available in French, German, Italian, Portuguese, Polish, Spanish. It can be obtained from: corunum@corunum.va or it can be found online in English by clicking on the image below.